The Address is central suburb’s most sought after & premium gated community in Ghatkopar West. It is located in the heart of the city, yet away from the hustle and bustle, making it the perfect property in Ghatkopar. It offers 12 luxurious towers with vast open spaces and a plethora of lifestyle amenities for you to spend quality time, with your family and friends, without even stepping out. 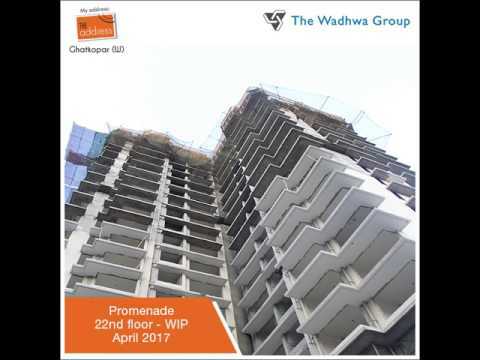 While there are many residential projects in Ghatkopar, there is none like The Address with premium 2 BHK flats in Ghatkopar. The information provided in this advertisement, including all pictures, images, plans, drawings, amenities, dimensions, elevations, illustrations, facilities, features, specifications, other information, etc. mentioned are indicative of the kind of development that is proposed and are subject to the approval from the competent authorities. Pictures, visuals, perspective views of the building, model, furniture and maps are as per architectural drawings and the same shall be constructed subject to approvals of competent authorities and shall be in compliance of RERA Acts and Rules and Regulations. Furniture, Fixtures and Furnishings shown in the show flat are only for representation and shall not be provided in the actual flat. The Project is mortgaged to Aditya Birla Finance Ltd., Aditya Birla Housing Finance Ltd., HDFC Ltd.